911uk.com - Porsche Forum : View topic - 991.2GT3 Clubsport Manual PTS new. 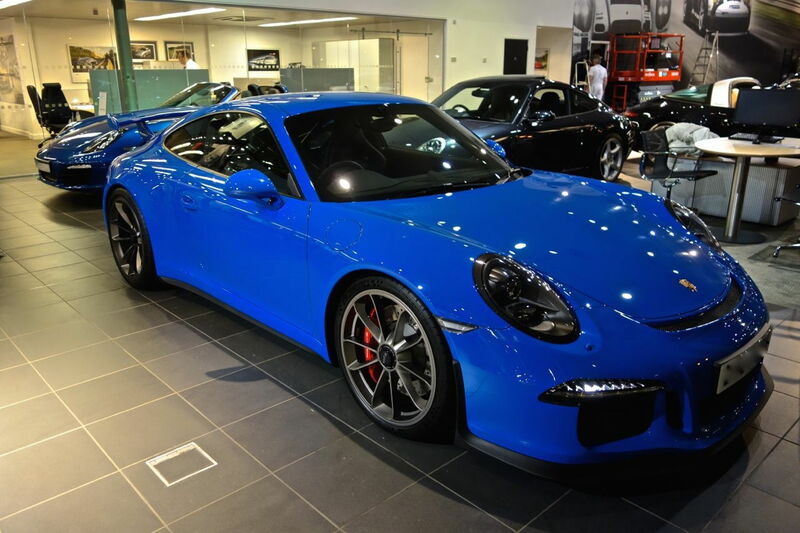 911uk.com Forum Index > Porsche Cars For Sale & Wanted > 991.2GT3 Clubsport Manual PTS new. Posted: Mon Nov 20, 2017 12:29 pm Post subject: 991.2GT3 Clubsport Manual PTS new. Delivery in Week 50 (3 weeks time). Price is £181K on todays exchange rate. Great colour choice! Shame it's a lefty. I guess it will look something like this. €12K for a paint job seems crazy to me though. In fact it is 12k additional to a normal paint finish: the price of a complete brand new car for some. That is something to behold. Paint 12k, Ceramics and carbon seats. For some parts of the UK it's somewhere to sleep at night and call home. Fully get that Kryton, and I'd also rather Porsche were able to build cars to meet demand but post the 997.2RS, that hasn't been the case. Also if you want PTS in the UK, you have no option so this might suit someone. I think he mentioned the PTS was a 12k option, so I don't think he is making much on this as GT3's on the continent are much more expensive than the UK. He has 6 Porsches now and just had a baby, new house... so he just wants to clear some of the large mortgage he has just taken out on the new place. I mentioned this forum is more of a club/group of friends, so dropping the price would be appreciated for those who missed out. He agreed and has dropped the price by £10K. Stunning, very like Nogaro blue. Wheels need some sort accent IMO. Agreed. Gorgeous looking car, but too much black in the wheelarches. A red stripe on the rim of each wheel would help to break things up a little. A manual or auto ? Hi, what is PTS ? 'Manual' according to the topic subject line.